Osmonics is committed to helping industrial, institutional and commercial customers worldwide ensure fluid purity in their products and processes. Founded in 1969, they pioneered the commercial development of reverse osmosis and ultrafiltration technologies. Since then, they have steadily expanded their ability to manufacture membranes, products and equipment to meet any fluid purification, separation or handling requirement. Osmonics®’ one-step manufacturing process continuously extrudes and thermally bonds pure polypropylene microfibers into a complex filter matrix. Microfilaments combined with precise control maximize the positive filtration characteristics of graded density, tight micron cutoffs and maximum void area with millions of tortuous paths. This fully automated manufacturing process assures consistent quality, filter to filter, year in and year out. Thermal and vacuum finishing procedures produce exceptionally clean filters imprinted for easy identification in the field. Selex Depth Filters Absolute-rated with sharp cut-offs the Selex is a high precision, graded density cartridge filter on the leading edge of depth filter technology. Hytrex Depth Filters The industry leader with high efficiency and dirt-holding capacity. Purtrex Depth Filters Pure polypropylene depth filter with exceptional dirt-holding capability. Memtrex™-MP-S Filters Validation Grade Modified PES Polyethersulfone pleated cartridge filter specifically designed for the pharmaceutical industry to produce sterile effluent. Memtrex™-PC Filters Polycarbonate Track-Etch Membrane Polycarbonate track-etch membrane filter offers efficient sieving filtration. Flotrex™-PN Filters Polypropylene Microfiber Polypropylene microfiber filter designed for general prefiltration. Nominal micron ratings: 0.2, 0.45, 1.0, 2.0, 3.0, 5.0, 10.0 and 30.0 µm. 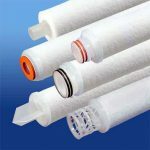 Flotrex™-AP Filters Polypropylene Microfiber Polypropylene microfiber filter designed for pharmaceutical prefiltration. Absolute micron ratings: 0.65, 1.0, 2.0, 3.0, 5.0, 10.0, 20.0 and 40.0 µm. 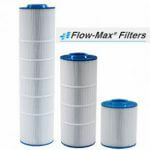 Flotrex™-GF Filters Glass Microfiber Glass microfiber filter designed for prefiltration. Nominal micron ratings: 0.45, 1.0, 3.0 µm. Flotrex™-HR Filters Fluoropolymer Microfiber Designed especially for ozonated water applications, the Osmonics® Flotrex-HR (FHR) filter is ideal for pharmaceutical and beverage applications utilizing this water treatment technology. Absolute micron ratings: 3.0, 10.0, and 25.0 µm.